The 6-foot-10-inch American-born basketball star’s identity card was presented to him by Interior Minister Aryeh Deri and Jerusalem Mayor Moshe Lion at a ceremony attended by Hapoel Jerusalem co-owner Eyal Chomsky and Hapoel Jerusalem general manager Guy Harel. 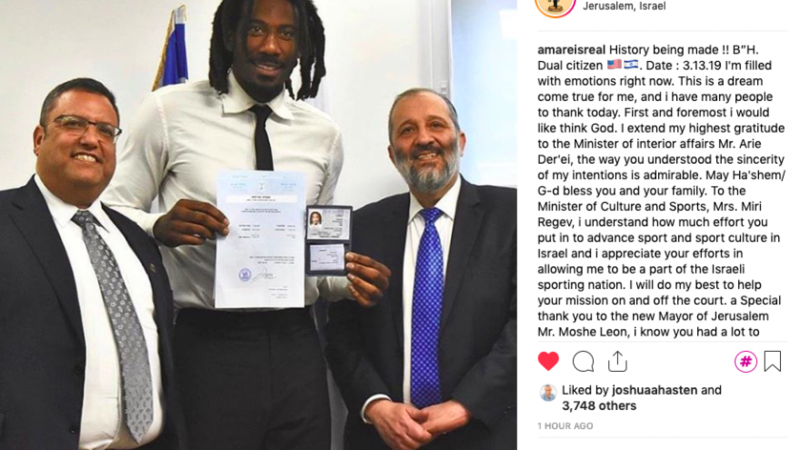 Photo: Basketball star Amar'e Stoudemire received his official Israeli citizenship from Israel's Interior Minister Aryeh Deri and Jerusalem Mayor Moshe Lion on March 13, 2019. Source: Stoudemire's Instagram account. 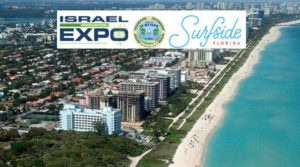 Israel’s average national height rose ever so slightly on Wednesday when former NBA star Amar’e Stoudemire officially received Israeli citizenship in a ceremony at the Interior Ministry. The 6-foot-10-inch American-born basketball star’s identity card was presented to him by Interior Minister Aryeh Deri and Jerusalem Mayor Moshe Lion at a ceremony attended by Hapoel Jerusalem co-owner Eyal Chomsky and Hapoel Jerusalem general manager Guy Harel. Stoudemire has been playing for Hapoel Jerusalem since 2016, and received residency rights in January, after completing a 14-year NBA career with the New York Knicks and Phoenix Suns. Last year, the former NBA star even heralded a new line of kosher-for-Passover wines, grown and produced in Israel, which includes two red-wine blends and one Cabernet Sauvignon, all limited-edition vintages produced in cooperation with the Tulip Winery in northern Israel.